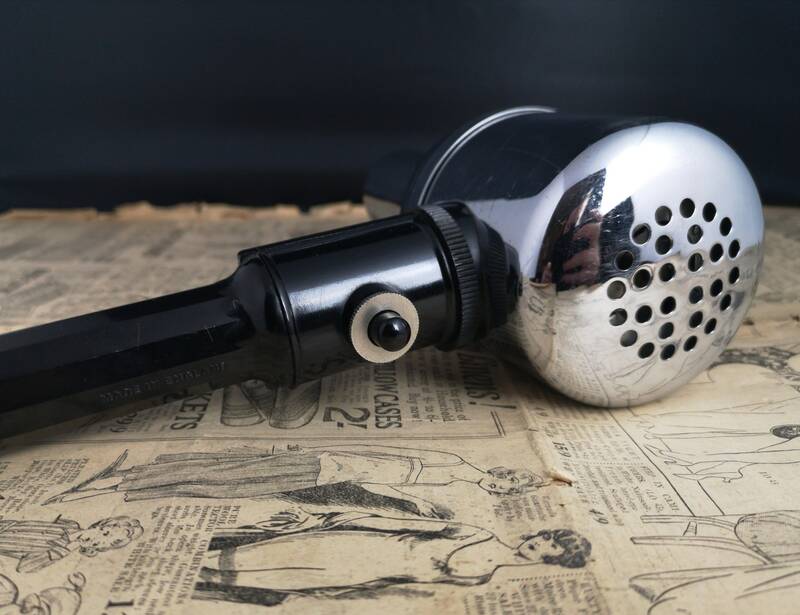 A fab vintage 1950's Bylock hairdryer in chrome with a black bakelite handle. 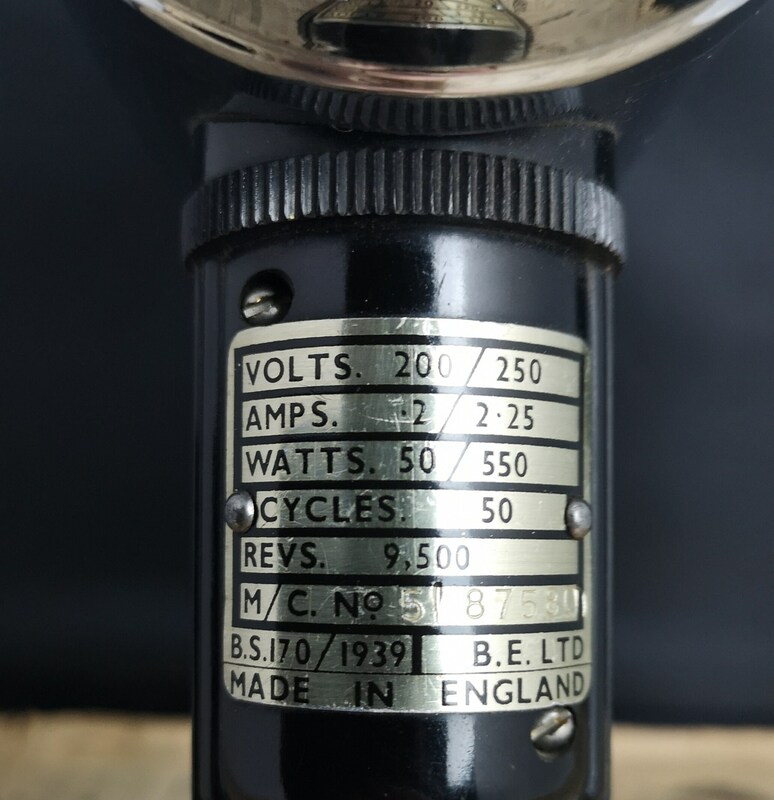 It has the original tag with serial number and codes, including electrical safety standard 1939. The top has the red Bylock tag. 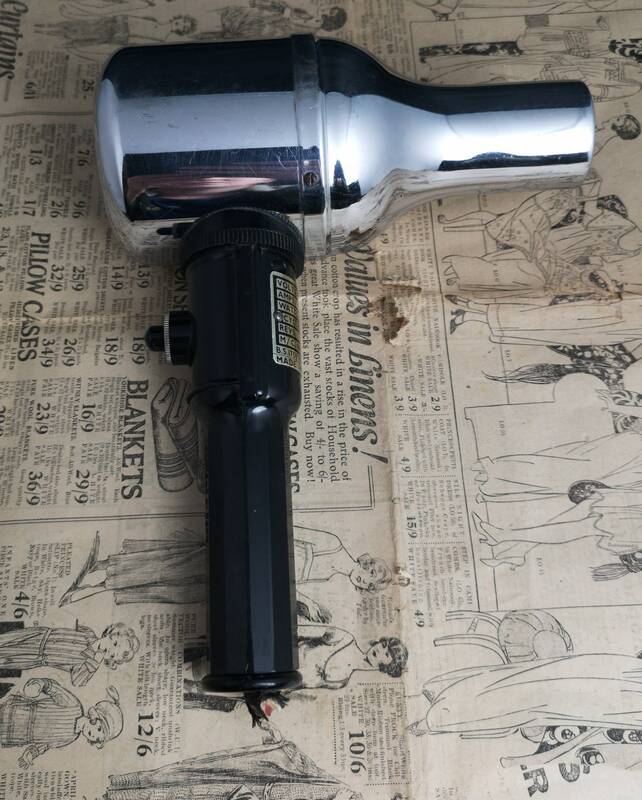 The hair dryer externally appears to be in good condition no chipping of the chrome and no cracks in the plastic. 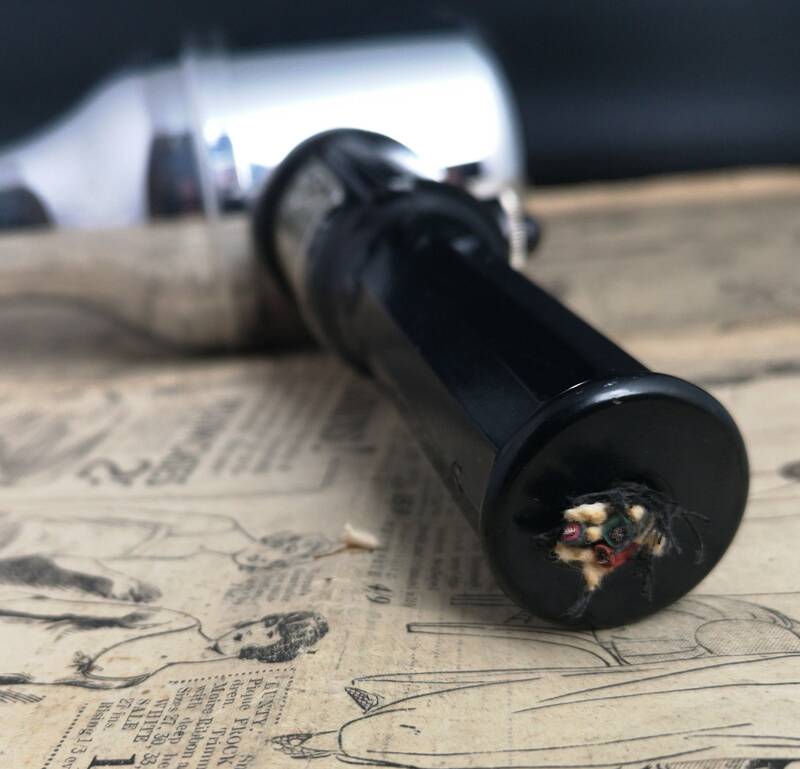 The hair dryer has not been tested and the cord and plug have been removed for safety, it will need to be pat tested and rewired with a modern plug. 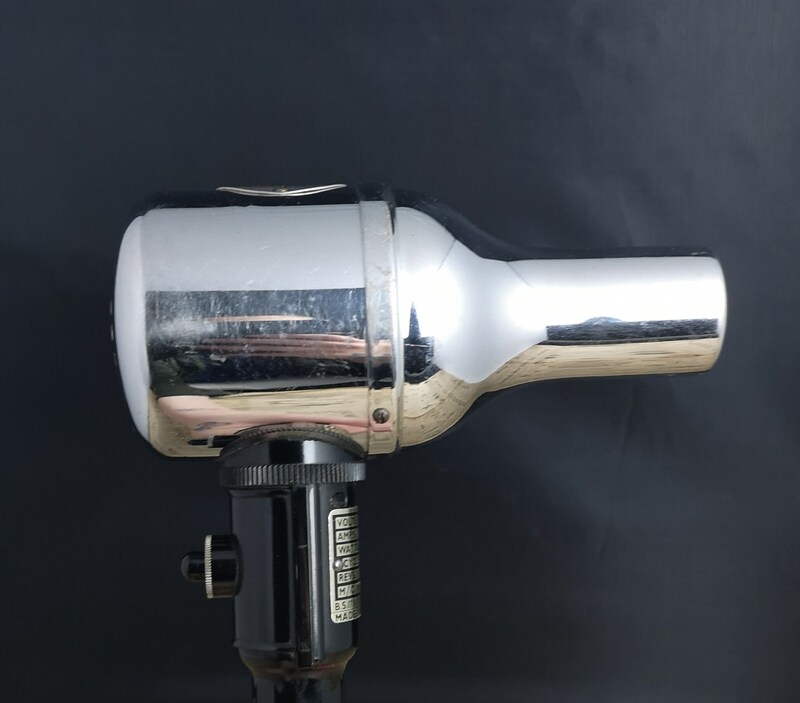 It would make a great display piece for a hairdressers, barbershop or salon. 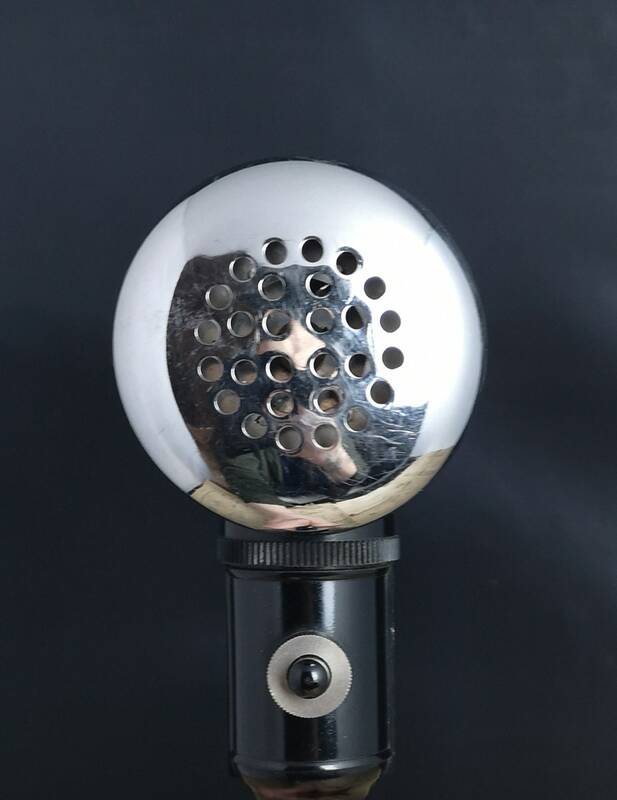 Approx 7" length,10" height and 3" width.